Fishing for a Better Economy! “I want to do that!” is the cry we hear from people who see Dan Hernandez on television. These folks are doing more than adding sportfishing to their bucket lists, they are heading to the internet in droves to book charter boats for their family vacations. One million jobs are supported by sportfishing, mostly in the travel service industries and in the production of gear and boats – That the number of Americans employed by the United Parcel Service, times three. Sportfishing pumps $125 billion into the economy annually – Apple Inc. reported a mere $108 billion in its last fiscal year. Just how important to the US economy is the Sport Fishing Industry? Consider the following economic-impact figures from several U.S. industries, according to Southwick. As you might expect, Florida ranks as the most significant state in terms of economic impact derived from recreational sport fishing. Florida recreational sport fishing generates $ 5.7 billion in economic activity, $ 3.3 billion of which is attributed to retail sales alone (or 12 times more than the value of Florida’s citrus crop). Parents are discovering that sportfishing offers a unique vacation experience that brings families a lot closer together than other vacation options. It is impossible for dad to land a nine-pound steelhead on Michigan’s Muskegon River while simultaneously texting on his Android. As a result, families live in the moment and connect with one another. This is where families make memories; they then become hooked (please pardon the pun!) and come back the next year for more. Charter boats are much more cost effective than renting or owning your own boat – seriously, would you really use your own boat enough to make it cost effective? And what about maintenance? Patrons appreciate the worry free experience charter boats provide. There is the glorious boat ride through magnificent waters that even a client’s sixteen-year-old daughter will enjoy, even if she can’t turn the Lady Gaga off on her iPod. Boat captains are all teachers, so patrons know they will learn anything they need to hook and reel a thirty-pound dolphinfish (and they will learn that we are indeed talking about a fish, not Flipper). 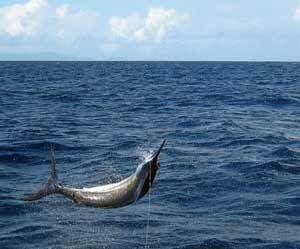 The wind is in our sails now, and sportfishing is quickly becoming America’s pastime! At Charter Lakes, we take the worry off the shoulders of yacht owners with customized package policies that cover physical property as well as liability for you and your clients. You owe it to your clients to have the best coverage you can afford, and we owe it to you to offer the best and most comprehensive specialized charter boat insurance products and services possible.